Visiting the battlefields of the First World War has been an ambition for both of us, my Grandfather having served in the Somme and survived. My son is an ex Cheltonian so seeing the plaque in St Georges Church in Ypres was a very special moment 637 young boys gave their lives. Jon understood what we needed to see and his stories were inspiring.. would our young do this today?.. my view is yes they would for all the bad things we hear there are good things too. On another note, Jon has so many stories and can show you things off the beaten track at a pace of your choosing. We plan to revisit and will use Jon again. 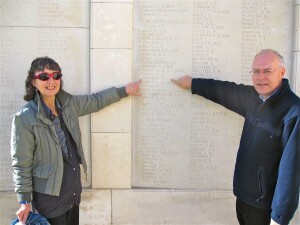 A private pilgrimage to the Somme, Ypres and Arras. Jon has been engaged for the whole month of August 2014 based in Arras, working for Travel Editions who are the principal Great War Centenary Travel Company for the Daily Telegraph. Here are just three reviews..
“We have over many years visited the WW1 battle areas both independently and with organised tours. All much to our benefit with added knowledge. This tour with Jonathan Nicholls surpassed all the expected. The humour, detailed knowledge and delivery was quite simply, outstanding. Perhaps too detailed for some but if one really wanted to explore and obtain the necessary information Jonathan’s method was most welcome. 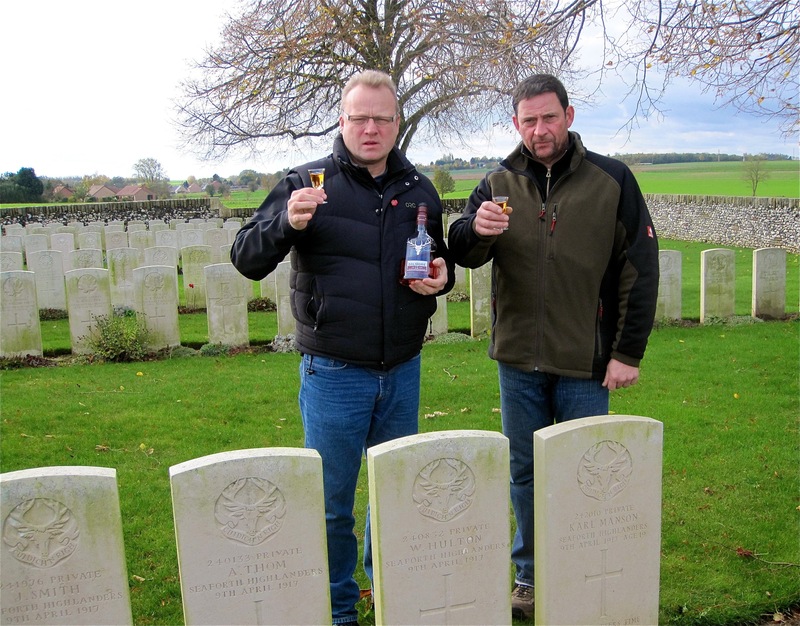 “I wanted to take time out to congratulate and thank you for commissioning a magnificent Great War Centenary Tour to Arras, Ypres and Somme last week. It was a unique experience for us led by two marvellous folk in Steve Hartnell and Jon Nicholls: characters both knowledgeable and caring. Steve was the perfect host and ambassador for your company whilst the charismatic Jon was nothing short of outstanding and tireless in his enthusiasm and deep understanding of the topic. Every detail from the comprehensive information in the Itinerary Guide booklet to the commentary on each visit location was superb. I have run out of superlatives to describe the combination of activities and thoughtfulness that went into the planning and delivery of the tour. This was our first experience of Travel Editions and, whilst we hope to take advantage of future programmes you offer, I think it unlikely that any tour would be able to match this one. It far exceeded our expectations and struck an excellent balance of fitting remembrance and holiday fare. I cannot recommend this combination, nor your team’s attention to detail, more highly. Review by Sue Clarke. House of Commons. 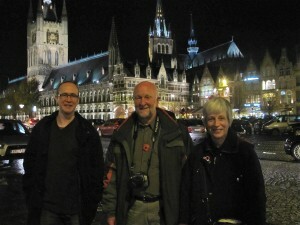 Just wanted to drop you a line to say how much we all enjoyed the trip to Ypres and surrounding area. Your extensive, intimate knowledge of the area and of those who had fallen, made the experience particularly memorable. Thanks also, for the considerate personal attention you gave us, particularly at our grandfather’s grave. In the footsteps of Grandfather Charles Atkinson. The Queens Royal West Surreys. Died of wounds at Godwaersvelde, (Nr Ypres) 4 September 1917. 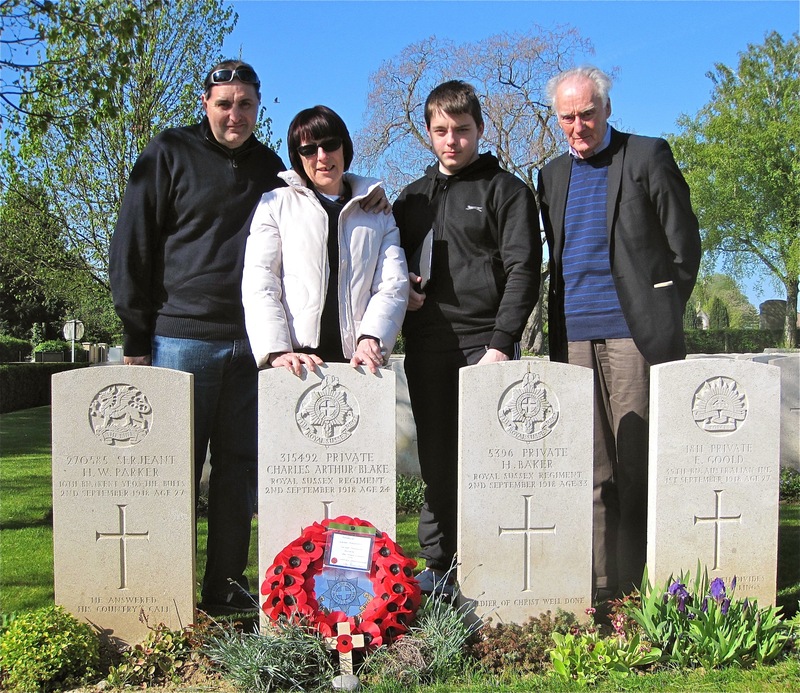 In 2013, when we were planning a trip to the Somme and Arras battlefields, we began our search for a suitable tour or individual guide. 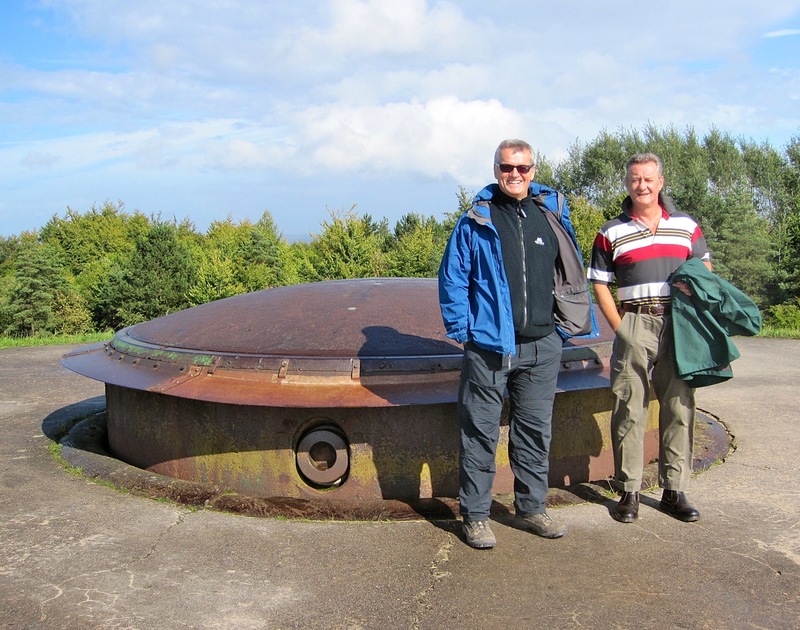 The information on Jon’s website suggested an experience a little different from the standard tour and historical perspective …… and indeed so it turned out. 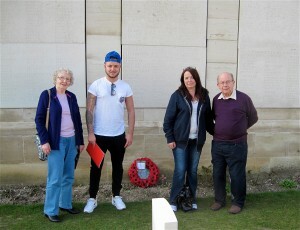 Jon gave us an insight into the battlefields and their memorials that I think few others could match. 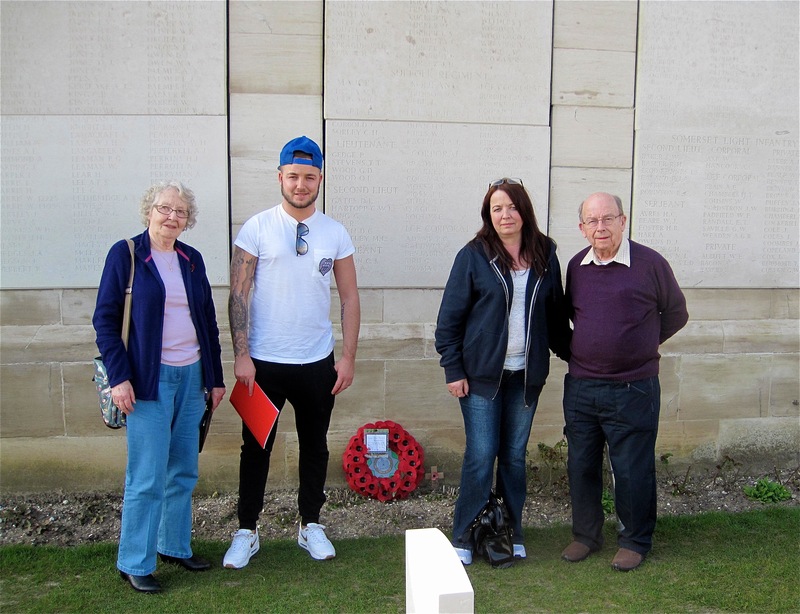 While, from our reading, we had some background to the history of the Great War his insights into the terrain and many of the more human and emotional aspects relating to various individual sites really brought home some of the reality to us. His conversations with a wide variety of veterans of the conflict mean that he is one of the few people who can provide an insight that goes beyond books or an historical account. In advance of travelling we had also read his book on the battle of Arras (‘Cheerful Sacrifice: The Battle of Arras 1917’ [Pen & Sword 1990]) and would happily recommend it. We would add that Jon is also a great companion to have during the more social side of any visit you may make. 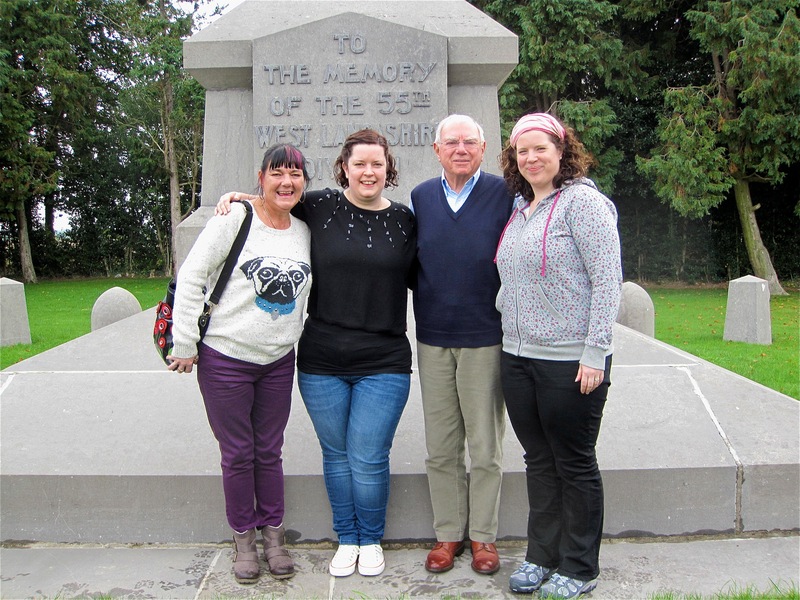 I just wanted to thank you Jon, for arranging such a memorable visit to our Grandfather’s grave and all the research and preparations you made for our family on our visit from South Africa. It is something we will never forget and please thank all of the ‘Hampstead Pals’ for their kindness and hospitality. 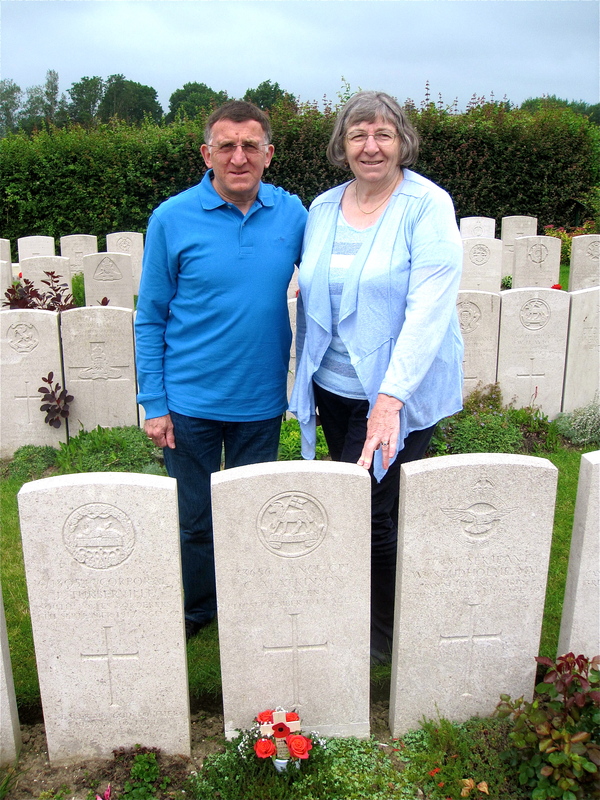 I contacted Jon as I wanted to visit the grave of my Great Uncle Charlie at Peronne and he devised a personal trip for us. What can I say about Jon? He is passionate, knowledgable, caring, incredibly funny and full of great stories. We were really looked after. Thanks Jon for everything. From showing me where Charlie was killed, to the Sussex Regimental wreath you gave me to put on his grave and the booklet you put together about him – a real personal touch. We really were walking in the footsteps of heroes and Jon hasn’t seen the last of the Russell family as we plan to go back again. In the footsteps of Charles Arthur Blake 16th Royal Sussex. Killed in action on the Somme, 2 September 1918. 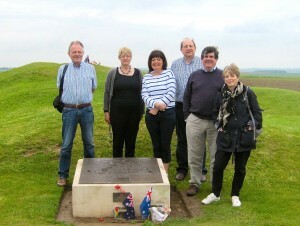 I have just returned from an amazing and moving journey to the Loos battlefield with Jon Nicholls. Jon was able to show me the place my uncle was killed and possibly his final resting place in the St. Mary’s Advanced Dressing Station at Loos. This could be my uncle’s grave, known unto God alone. 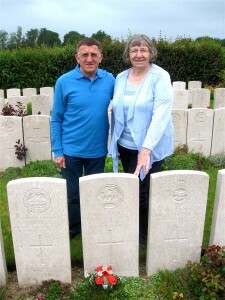 If you need to search for a grave from WW1 talk to Jon. Thank you Jon from three generations. Mary & Arthur Lynch with Daughter Denise and Grandson Karl. 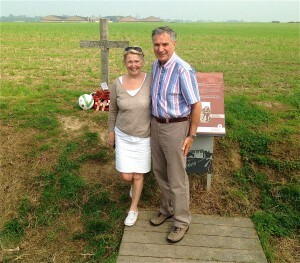 In the footsteps of Private George Tumbelty, 9th Devons. Missing in action 29 September 1915. After visiting Loos in May to see where Lyn’s Uncle Ernie was commemorated, we finally did the follow up in the footsteps of her Uncle Fred. 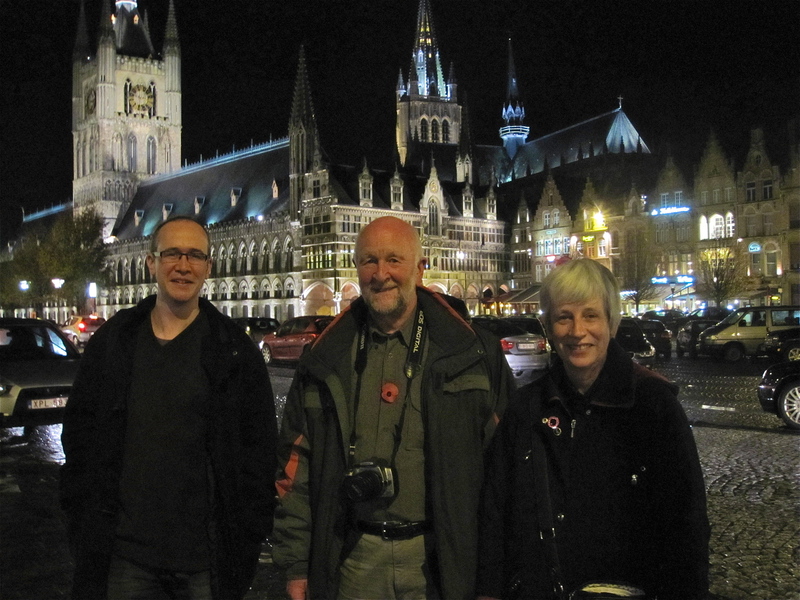 Once again Jon provided another excellent one-day tour, this time to the Ypres Salient. Many of the places we wanted to see, such as Swan Chateau & Ridge Wood were off the beaten track but as usual, Jon was only too happy to accommodate us and filling in details of interest wherever we went. How does he do it? In the footsteps of Frederick Oliver,1/19 London Reg. Served on Ypres Salient 1916-17. Arras Battlefields in one day.. I booked a trip with Jon Nicholls for myself and my friend Paul. From the outset, I was impressed with Jon’s approach to our trip. He struck me as someone who really cared about the subject. John picked Paul and I up from our hotel in Arras at 09.00 am and took us on one of the most memorable days either of us have ever had. Not only is John an extremely knowledgable historian, as his book Cheerful Sacrifice testifies to, but he also displays a compassion and understanding of what the men went through, which was fundamental to our experience. 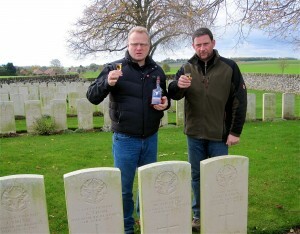 Our toast to the Seaforth Highlanders I found very moving. We could not recommend Jon highly enough, and look forward to returning to France for another ‘Jon experience’. “I was recently handed my Grandfather’s ‘Trench’ diary from 1917 and wanted someone to read it and devise a tour around the actual areas that he trod. I had a look on the internet and decided that Jon Nicholls was by far, the best man for the job. Jon’s wealth of knowledge, experience, respect and passion for this period of history, is – as far as I can tell – unsurpassed. Jon read through my grandfather’s diary several times in advance of our trip, and from his outstanding knowledge of the subject he knew straight away where some of the more obscure sites were. 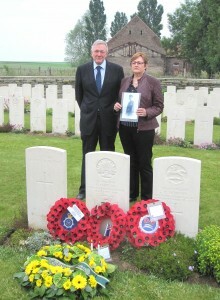 He also spent time researching where the resting places were of some of my grandfather’s comrades. Jon then devised a flexible personal tour taking in all the specific sites. He also selected some excellent sites for lunch and looked after us very well throughout the 2 day tour of Arras and Ypres. Very realistically priced too and yes – worth every penny. “Our recent visit to the Western Front with you went off very well indeed and we certainly got a fair old bit done and had some fun too, which is important! During the five days we had set the bar high and covered a lot of ground including Verdun, Arras, Somme and Ypres. Your ability of being able to produce contemporary photographs of Albert Jacka and Noel Chavasse and other heroes on your tablet and the sound recordings you made with Alf Razzell and Bill Hay, greatly enhanced the atmosphere by personalizing it most impressively. We also met some nice people along the way and had some good meals too! The northern French are a friendly lot and I was prompted to recall, that most touching observation on the grave of one of the British soldiers we saw at Serre, ‘The French are a grand nation worth dying for’. I sincerely trust that neither we or our children or grandchildren will ever be called upon to put those sentiments into practice..